its raining out back in your cage!! Mine? If so...thank you, me too...lol. when I bought it, it had some fugly brown/purplish sparkly crap on it. I love the way white looks on a bike...it's just rattlecanned with some white gloss high heat paint for radiators. Looks pretty good for what it is. Also, first time using bar end mirrors...I like em. Frees up the front end from those hideous stock antennas. If I keep her, I'll replaced all the plastics, and get it painted the right way...nice and custom...maybe some minor airbrush ghosting. why.......do I not believe you? Love the paint job on that! Have fun with it. Man! that is a rad paint job... who did that? 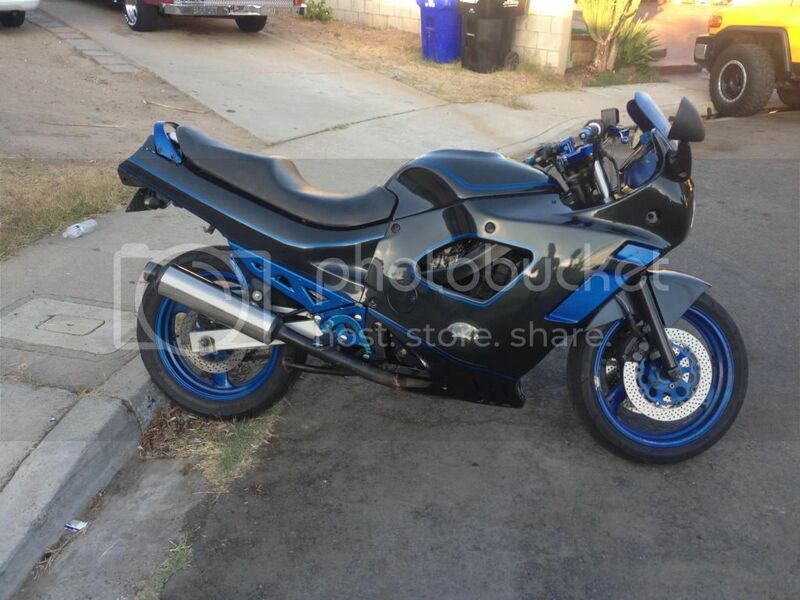 I sold the blue n white GSXR coloured GSXF to buy a classic XJ650 Maxim, why I don't know! After a month or 2 decided bad move so sold it and have just acquired a '94 GSXF! This time I will be keeping it! Needs some work but nothing major. Looks ugly, I mean, completely different, the electrics are different, the carbs are slightly different, single exhaust......... Not really the same bike but, the same under the skin kind of. Couple years since a post here. There must be some new pre's to add to this. Looking for some pics of black and red pre's for inspiration. 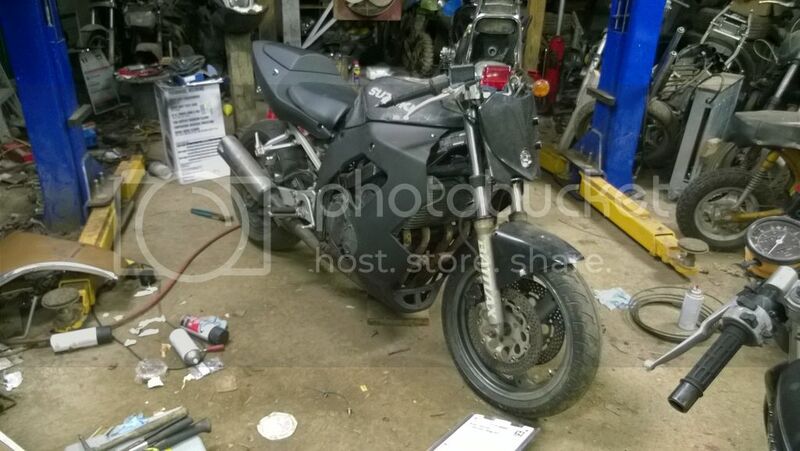 Heres a pic of my bike from the previous owner before I got it in pieces!